Only 6 kilometers from Lavalade is the village of Moissac, steeped in Art and History. Take the only canal bridge of Tarn et Garonne and follow the Canal des deux mers by bicycle to go there from the Château Lavalade. In Moissac, discover the abbaye Saint Pierre de Moissac, stage on Saint Jacques de Compostelle’s paths and listed in the UNESCO World Heritage. Soak up the sun on terrace, enjoy the gentle atmosphere of this city and taste its famous grapes, the Chasselas de Moissac (AOP). Its impressive red bricks walls gave the city of Montauban the name of “the most pink of the pink’s cities”. It is a city of art and history. You can discover its magnificent architecture by visiting the cathedral, the Ingres Museum, the church Saint Jacques, the national place, the Pont Vieux …The cultural life of Montauban is rich, with a number of museums of Art and History. Between Bordeaux and Toulouse in Tarn-et-Garonne, the village of Castelsarrasin is marked by history as shown by its churches and the Abbey of Belleperche. This former Cistercian monastery, near the Garonne, is today a Museum of Tableware, hosting numerous exhibitions and cultural events about History, art and gastronomy of the region. From November until March, every Thursday morning, the Marché au Gras of Castelsarrasin, one of the most considered in the region Midi-Pyrénées, offers you its poultry under the Halle Occitanie. 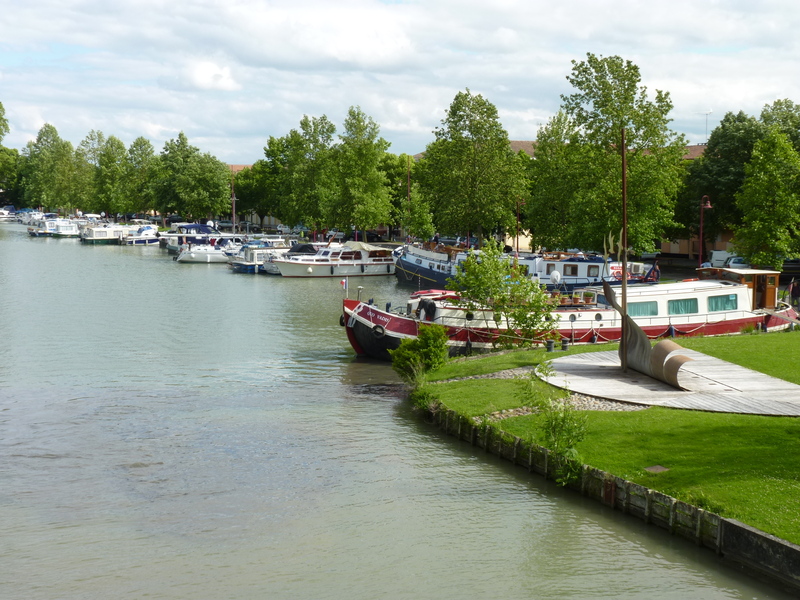 In the city centre, you can find the port Jean-Yves-Cousteau, fitted out to welcome the sailors of the Canal du Midi. 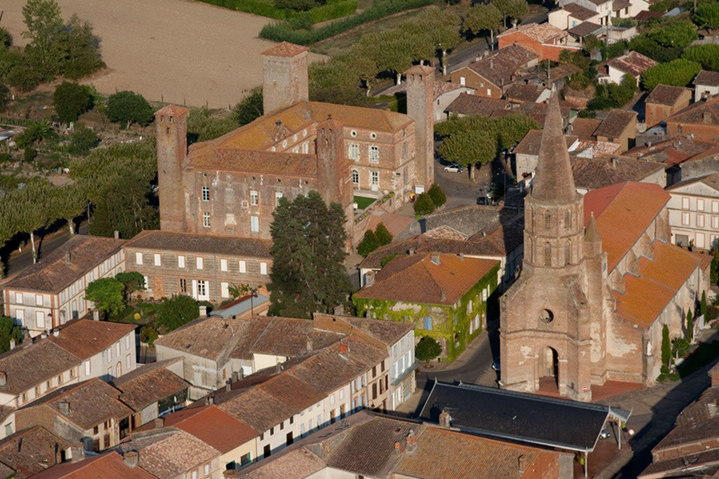 We encourage you to visit, at 20 minutes from Lavalade, the magnificent village of Saint Nicolas de la Grave. Discover its enticing history, proven simply by its hall, its Church, the Richard Coeur de Lion castle and the Lamothe-Cadillac Museum. This museum tells the story of Antoine Laumet, born in St Nicolas, who was a pioneer founder of the city of Detroit (USA). And to relax, enjoy the leisure arena, an ideal place for sailing, canoeing, fishing, playing volley-ball, unwind in Plage 82 and discover local birds. You may still not be aware of this unique hydrological work binding the Mediterranean Sea with the Atlantic Ocean. Due to the genius and the entrepreneurial spirit of Pierre-Paul Riquet, baron de Bonrepos, the canal was originally built for the transportation of goods. It is now a renowned place for leisure today. You can enjoy discovering it by boat, walking or riding a bicycle. The Vélo Voie Verteof the Canal is specially fitted out for peaceful hikes along the canal banks, under the freshness of the trees. At 3 km from Lavalade, you can access to the canal at the Pont-Canal: a unique bridge where the Canal cross over the Tarn river. IN one direction, you can ride up to Castelsarrasin, while on the other direction you will reach Moissac. There are not less than 7 locks on the canal between these two cities, which are at only 8kms from each other. Nautical activitiesare proposed in both cities. Grain de Sel – Castelsarrasin – Organized by the network SPEDIDAM since 2017, the Grain de Sel Festival proposes you various musical styles, for all tastes, with evening concerts and concerts “discoveries” in the afternoon. Festival des Voix – Moissac – A festival of voices, places and worlds, which is eager to offer you a programming adapted to all, in unique places, emphasis on the tremendous cultural heritage of the city it takes place in: Moissac. Montauban en scène – With the Festival In and the Festival Off, the city of Montauban proposes a diversified cultural offer, with music, dance, humour and entertainments for children.